She hid secret messages in frosting, thinking no one would notice. 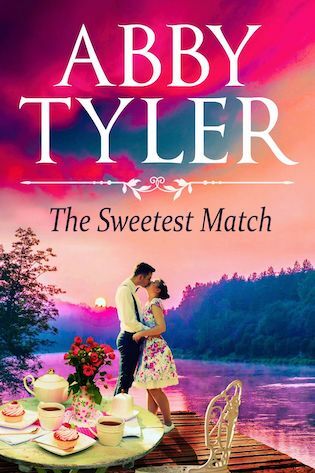 Abby Tyler welcomes you to the witty, well-meaning busybodies of Applebottom, Missouri, where the community takes its pies — and its matchmaking — very seriously. When Sandy Miller emerges from her shack on the edge of town after eighteen years, she finds a job making tea cakes for a little shop on Town Square. But then everyone starts spotting secret words of love and longing on her cakes. Andrew McCallister is the first to admit that he never got over Sandy Miller when she dropped out of high school and disappeared. But now she’s back. He just has to get the guts to talk to her. When the town summons the pair to a meeting to plan the school’s centennial bash, Andrew and Sandy discover they are the only two members of the committee. As they attempt to rekindle the long-lost flame, they realize the community must come together for more than an anniversary party. For their new relationship to flourish, the old guard must learn to support their most vulnerable members even when times get hard.